Some of the world’s major drinks makers are betting big on small-batch bourbon. The companies, including Brown-Forman Corp. (BF.A, BF.B), Fortune Brands Inc.’s (FO) Beam Global Spirits & Wine Inc. unit and Diageo PLC (DEO, DGE.LN), are capitalizing on a renewed interest in classic cocktails, helped by the likes of AMC’s “Mad Men,” and increasing demand for flavored spirits. Though the artisan drinks don’t sell in large numbers — after all, they’re only produced in small batches — their high price points are giving the companies a solid earnings boost. For example, Fortune’s Knob Creek bourbon sells just 200,000 cases to wholesalers annually, compared with its Jim Beam sales of nearly six million. But Knob Creek retails for about double its mainstream sibling. 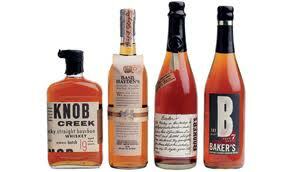 Some of Beam’s other small-batch brands, such as Baker’s, are priced even higher. Brown-Forman sees a similarly outsized contribution from its small, high- priced bourbon. Its Woodford Reserve brand sold 160,000 cases in 2010, which pales next to Jack Daniel’sTennessee whiskey sales of nearly 10 million cases. A 750ml bottle of Woodford retails at $32.99, while Jack Daniels’ suggested price is $21.99. Lynch declined to provide specific revenue figures, but noted that sales of Woodford Reserve have increased by double digits every year since its 1996 introduction.